Red Bull has fixed its KERS problems ahead of this weekend's Turkish Grand Prix, according to the team's consultant Helmut Marko. The championship leaders have struggled with the technology so far this year, with Mark Webber yet to have a trouble-free weekend. After the Chinese Grand Prix Red Bull vowed to get to the bottom of the issues, which were believed to be related to overheating, and Marko insists it is now fixed. 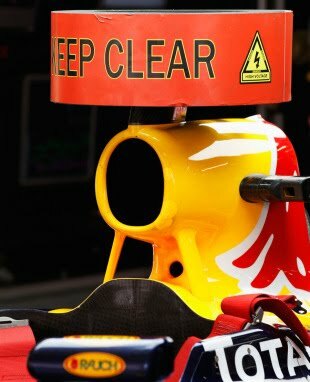 "Our KERS system is fine, over the Easter break we have made some modifications," he told the German newspaper Bild. "It is much better now. It works." With KERS working the Red Bull's could extend their advantage over one lap, which was up to 0.7 seconds in qualifying for the Chinese Grand Prix. Championship leader Sebastian Vettel is hoping for more of the same in Turkey but is not underestimating his rivals. "Our car should be strong there, but of course we have to respect our competitors and can never take anything for granted," Vettel said. "People are pushing hard, but we are pushing very hard too to maintain our strengths."